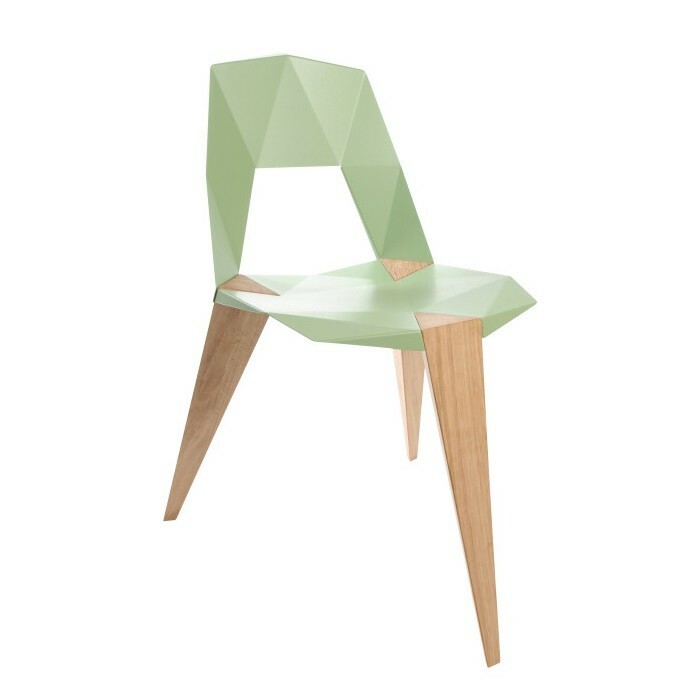 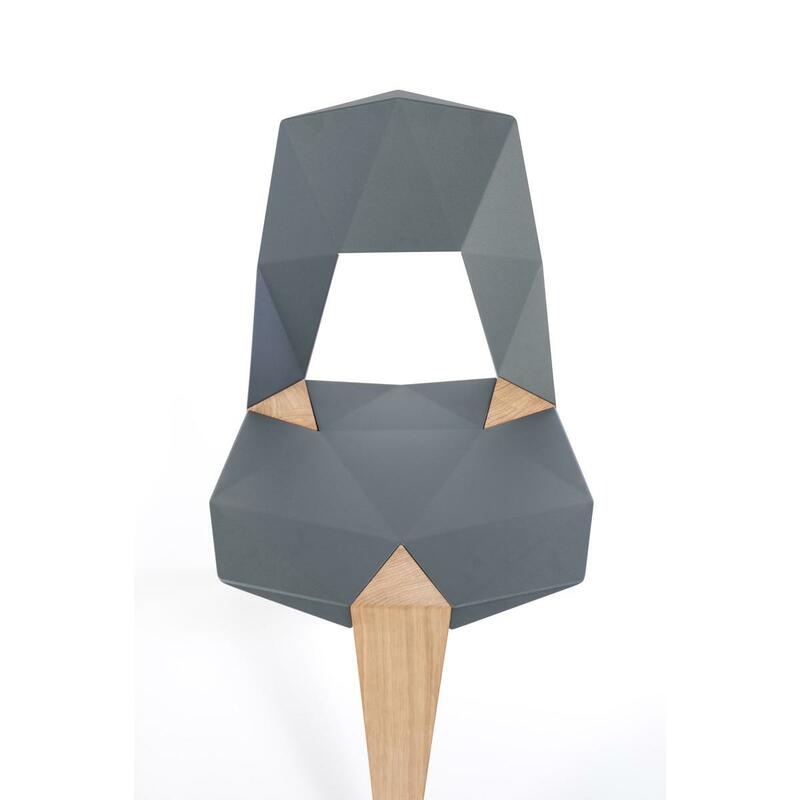 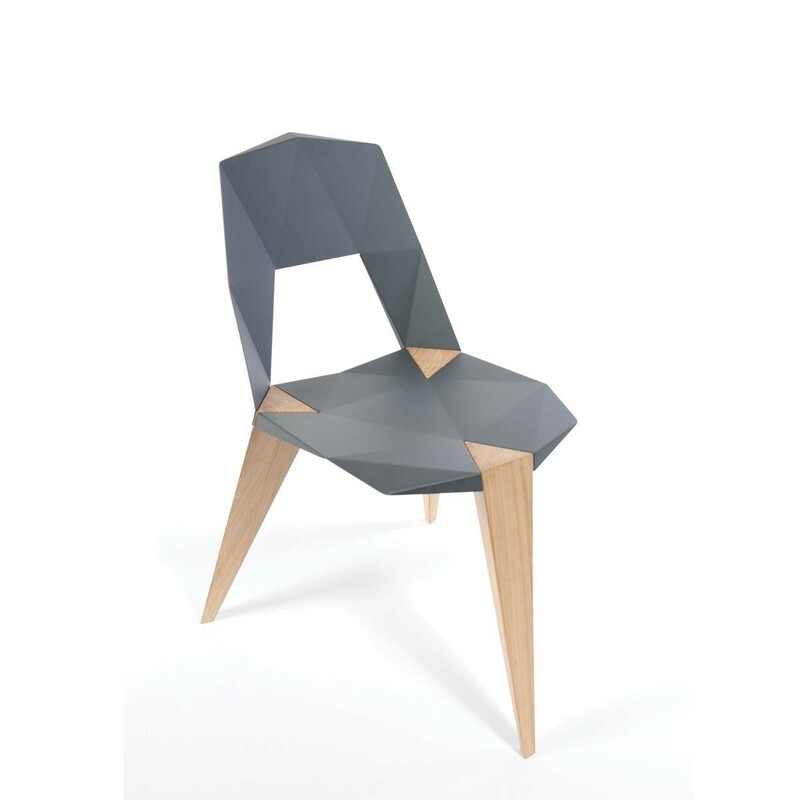 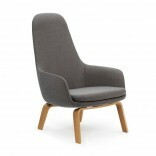 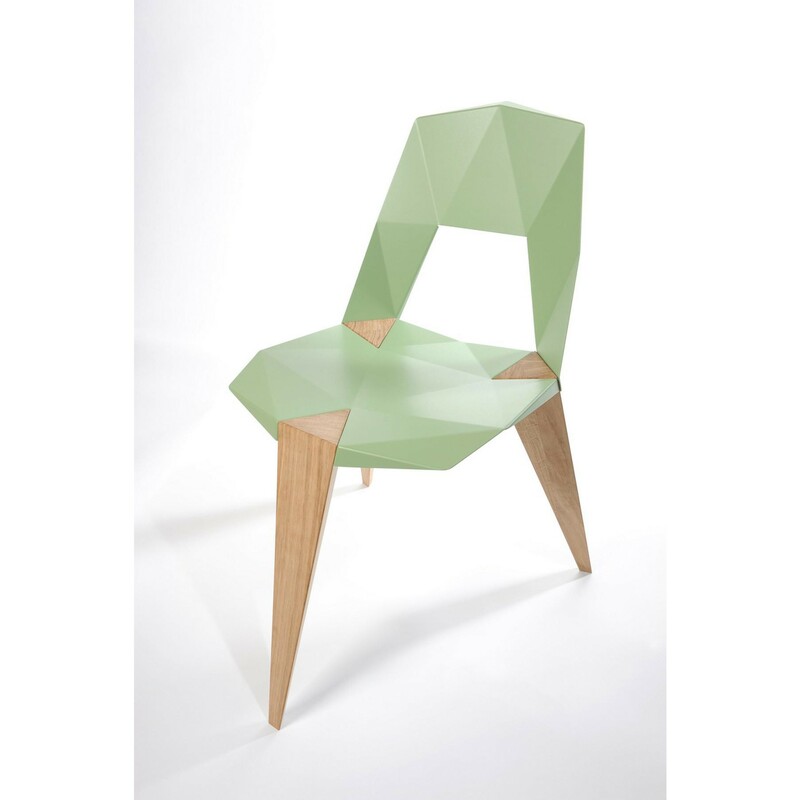 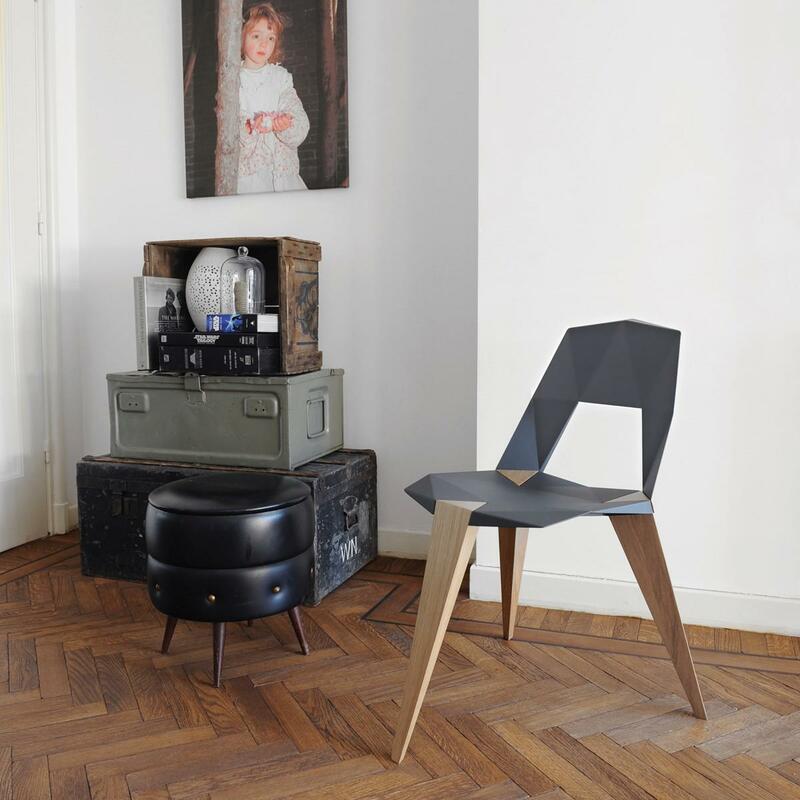 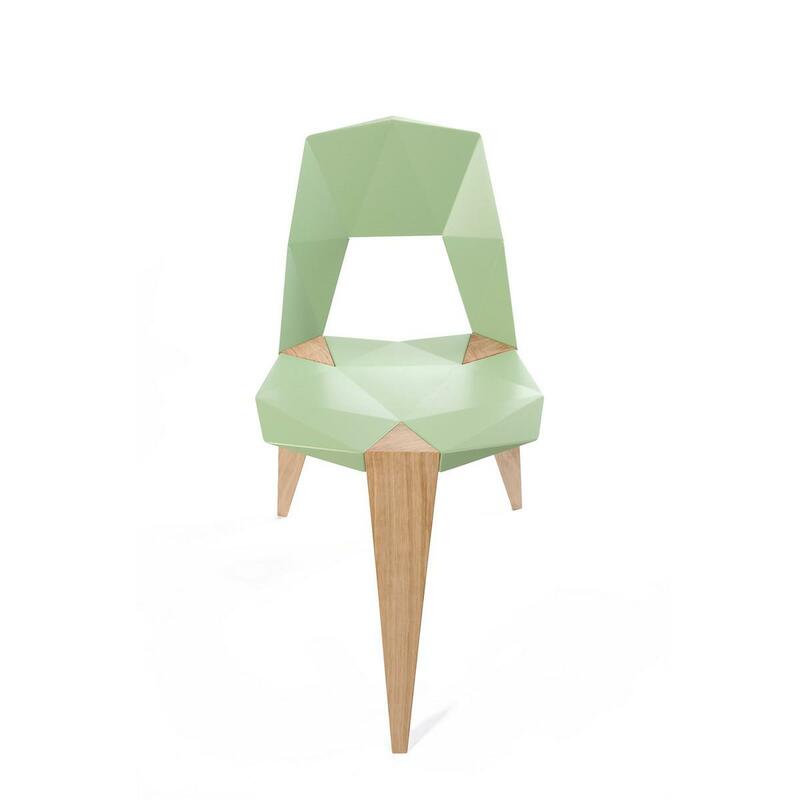 Pythagoras Chair with Oak Legs by Sander Mulder is a three-legged chair design inspired by origami. 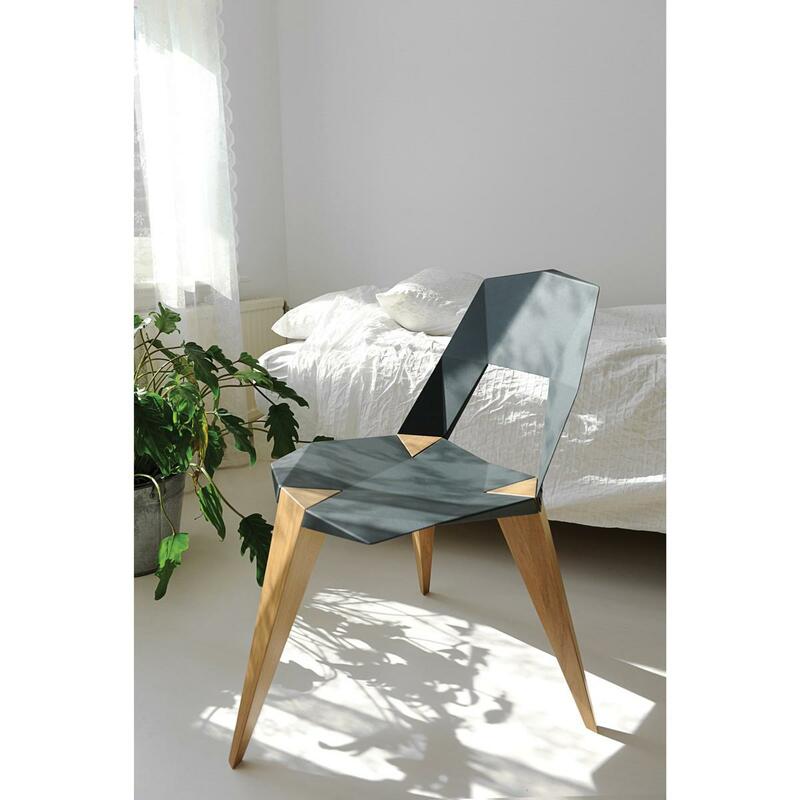 A plain sheet of aluminum is laser cut and then bent into the final product. 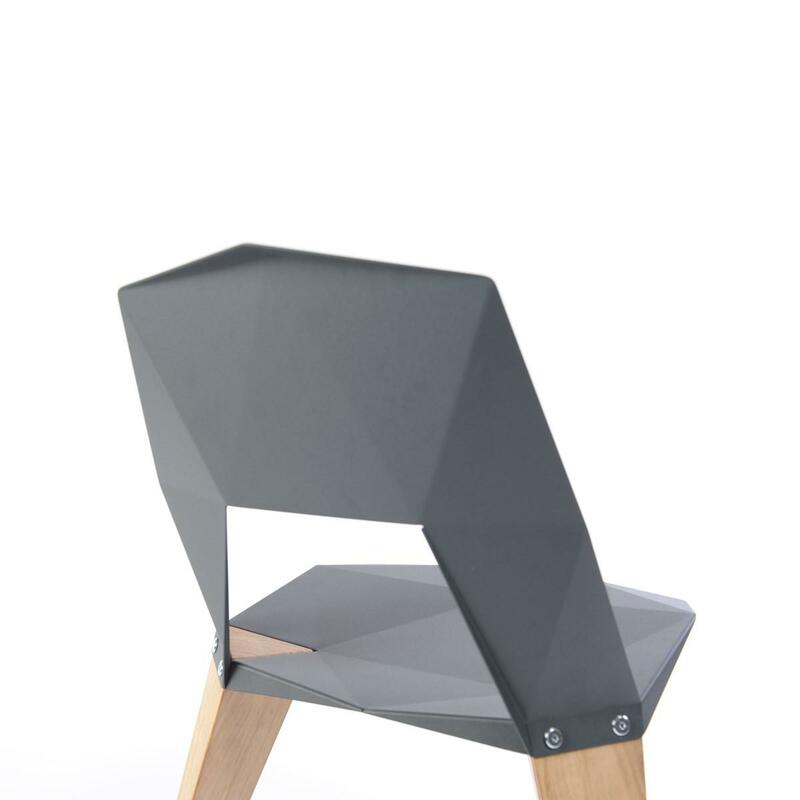 This lightweight flat packing chair is made up from only three different parts. 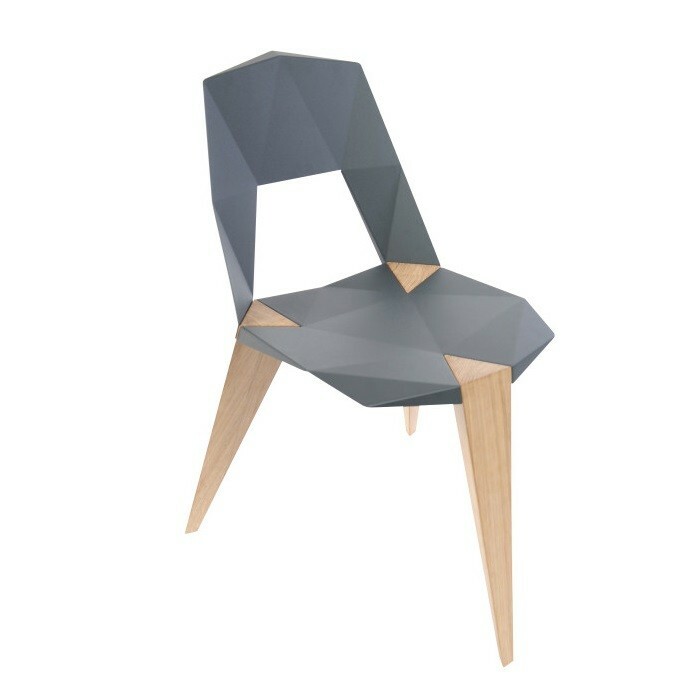 The triangulated lines on this three legged chair serve both aesthetics and function, offering a sturdy and comfortable seating experience. 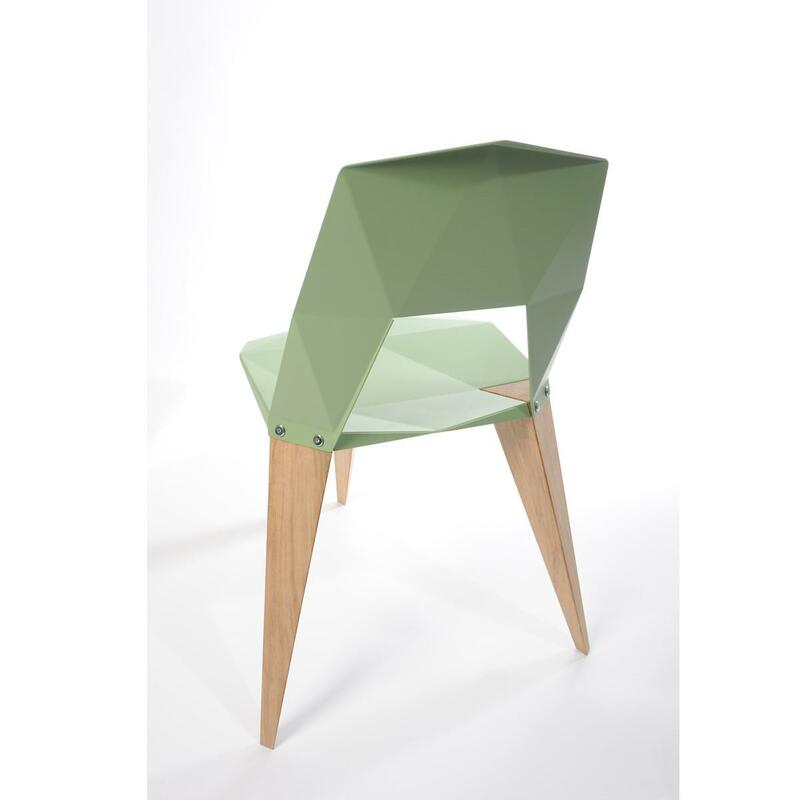 Pythagoras chair is available in pale green, custom anthracite or other color (RAL colors available on request) that you can specify. 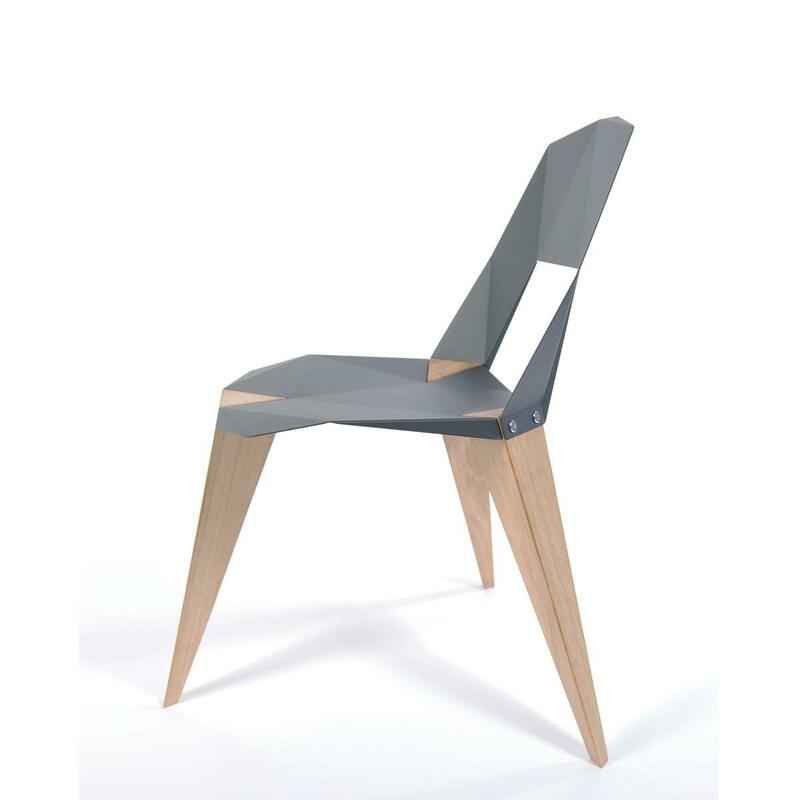 It comes with oiled oak legs, and also in a version with aluminum legs (suitable for outdoor use) or other (RAL colors available on request). 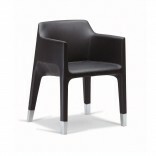 For a custom color by request (any RAL color) add +50€ to the price. 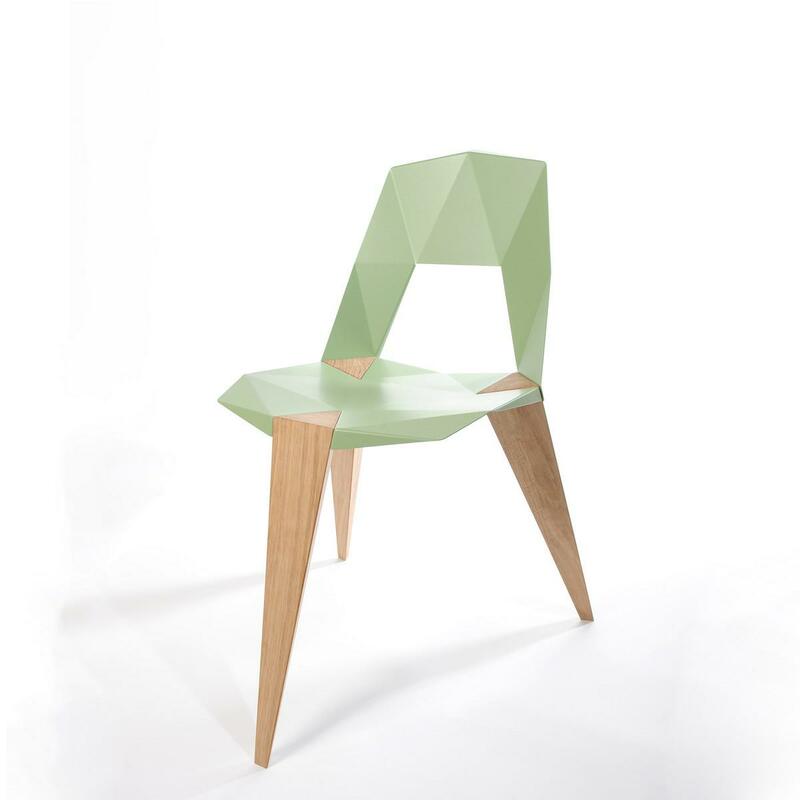 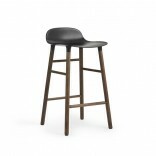 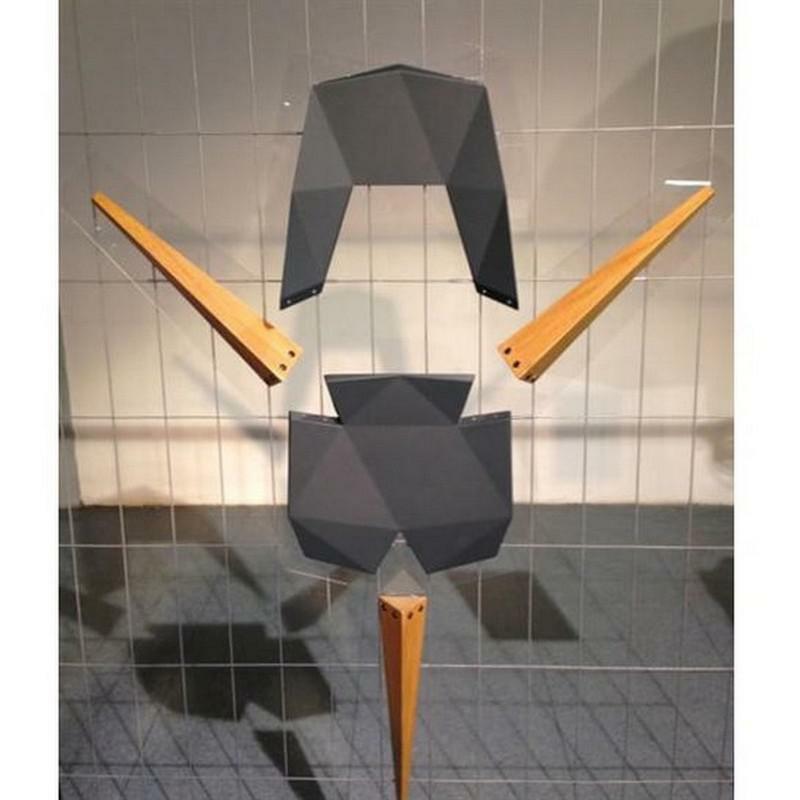 Material: Powdercoated aluminum and oak wood (legs). 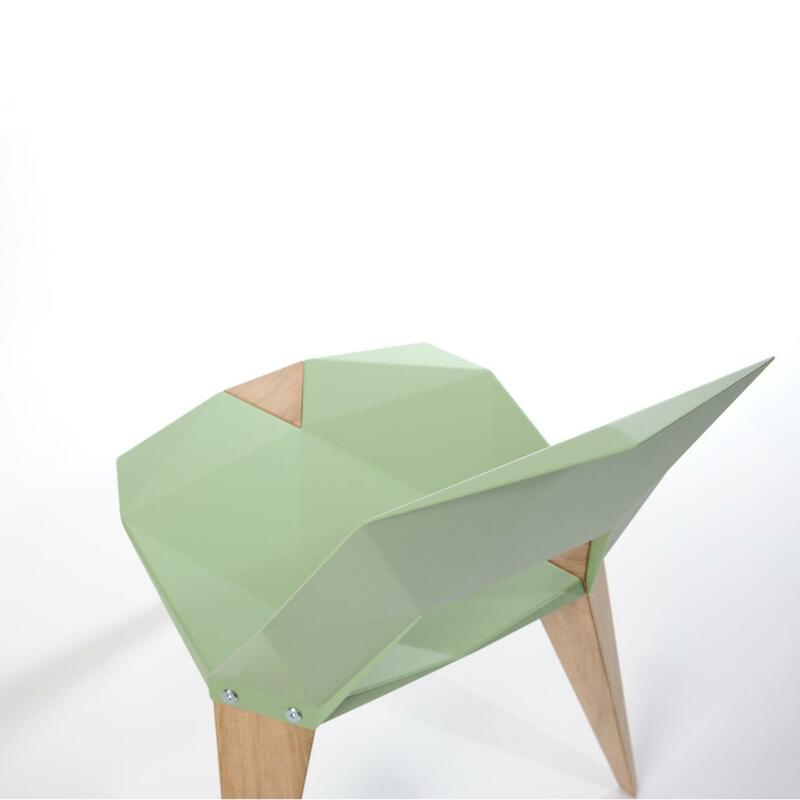 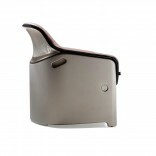 Color: Pale green, custom anthracite, other (RAL colors available on request). 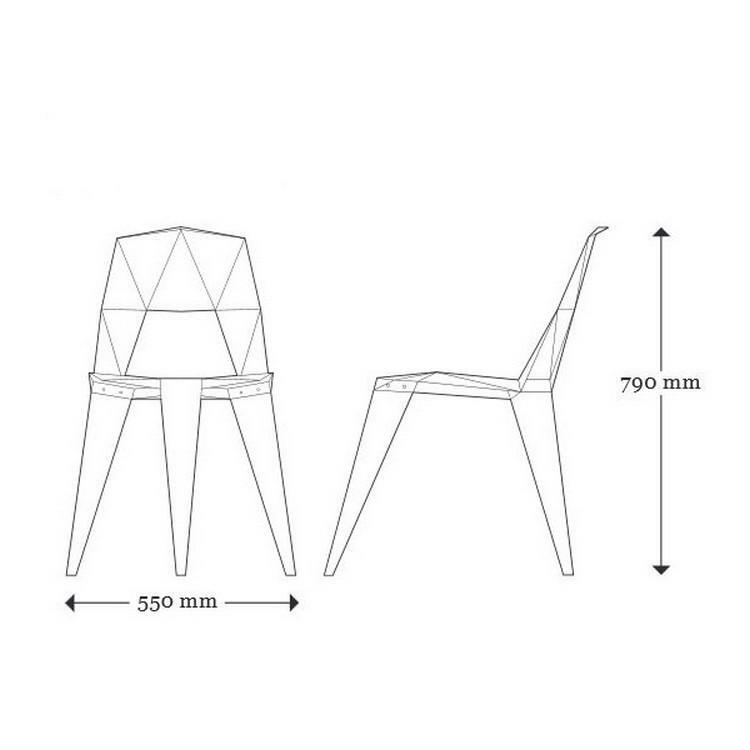 Dimensions: Width 55 x Height 79 cm.